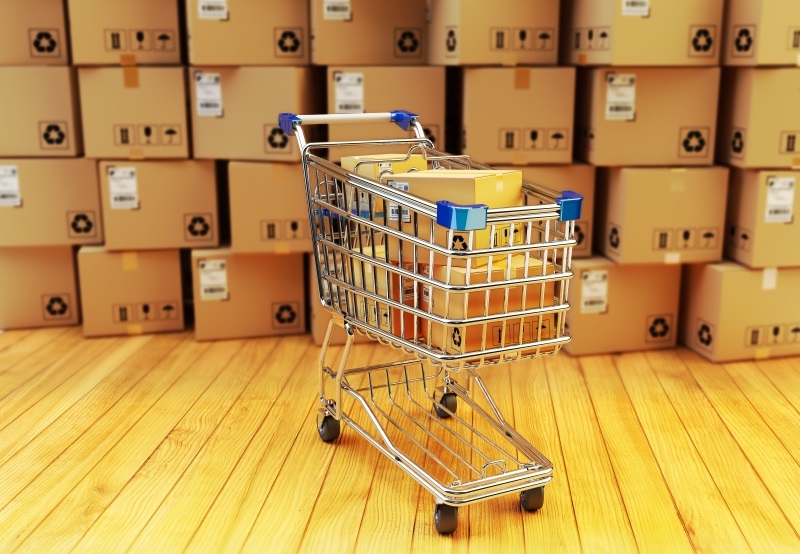 How do you effectively manage your inventory when using an ecommerce platform? When it comes to making sales online, everything is handled digitally, and it’s a good idea to take the same approach to inventory management. Here are some tips to help you do just that by making sure your inventory records are kept up to date and that you get orders coming and going as quickly as possible to satisfy your customers. Quick Updates: Each sale that is made on an ecommerce platform will be quickly sent to the inventory management solution to be recorded. This will mark some items as reserved for that order, and it will revise the total number of items that are still available to be sold. That updated quantity will then be sent back to the ecommerce platform(s) that the inventory management solution is connected to. While not instantaneous, this process is certainly faster and more accurate than manually updating inventory records and available quantities. Accurate Recordkeeping: Maintaining inventory records can be a time-consuming job. You can save a lot of time by simply letting the integration do the majority of the work for you. Eliminating double data entry significantly reduces the risk of typos and other data entry errors being made. Faster Order Fulfillment: The goal of all of this is to get products to your customers faster. After an order is received online and sent to the inventory management solution, the order fulfillment process begins in earnest. You can quickly pick, pack, and ship items with the aid of a barcode scanner and a well-planned picking route. Accounting Integration: Not only does your inventory management solution get updated shortly after a sale is made, but so does the general ledger in your accounting software. If those two are also integrated with each other, they can communicate back and forth just as easily as your ecommerce platform, keeping all three of them in sync. Things can and will go south, even with the best software in place. For example, let’s say you make a sale online. If another sale is made during the short window of time in which the available quantity has not yet been updated to reflect the first sale, you could wind up with a situation where you have committed the same items to two different orders. That is a pretty serious problem. What’s the solution? Have a backup plan in the form of a vendor you can make emergency purchases from and overnight them to your customers. This is known as drop shipping. Drop shipping is when a retailer sells items that it doesn’t have in stock and has a third-party supplier or manufacturer actually send the ordered products to the customer. This is not exactly an ideal transaction. Your profit margin will likely be razor thin or you may even lose money on this type of transaction, but the point is not to make a hefty profit, but to keep your customers happy and get out of a jam. We will talk about how to minimize the need for a backup plan next. But still, having one in place can give you peace of mind so you know what to do when things don’t go as planned. To prevent stockouts, you can use stock alerts. These are the lowest permissible quantities of items you have in stock that, once reached, will trigger an email or text message to be sent to the warehouse manager and other employees telling them that they need to order more to avoid running out. Orders that are received online automatically update your inventory management solution, so it will quickly let you know when it’s time to reorder. These stock alerts may need to be updated from time to time to account for seasonal changes in demand and other factors, but they are some of the most helpful tools out there to prevent stockouts and minimize carrying costs. You can analyze the sales trends of each of your products to determine their stock alert levels and make adjustments to them from time to time. Boxstorm is an online inventory management solution that comes in four versions. The most advanced version, Boxstorm Ultimate, offers integrations with QuickBooks Online, Shopify, Stripe, and other solutions to keep your inventory, accounting, and ecommerce platforms connected. You can also use it to work with multiple locations, assign default vendors to items, set up stock alerts, and do many additional things to manage your inventory on any Internet-connected device. Sign up for a free account with Boxstorm Forever Free to get started! Integrate your inventory management solution with your ecommerce accounts. Create stock alerts for all of your items. Make a backup plan in case you ever have an order fulfillment problem. Use an online inventory management solution like Boxstorm.